f. 1r-61v: Teshuvat ha-Minim, part of the second part of Hizuq Emunah by Isaac ben Abraham of Troki. f. 62r-115r: Several polemical responsa. 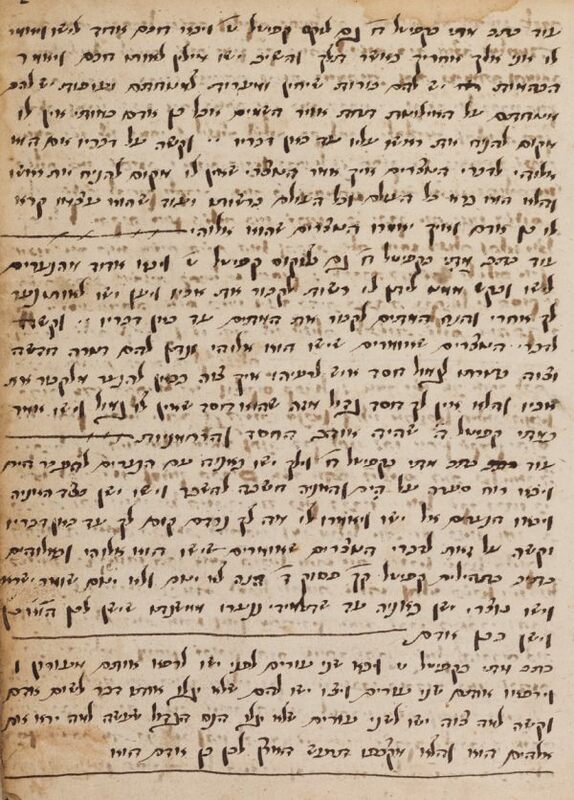 f. 115v-147v: Abstracts from Sefer Nitzahon by Yomtob Lipman Mühlhausen. f. 148: Responsum in different handwriting. f. 151r-173v: Polemical responsa of David Kimhi on some of the Psalms. Hebrew / Paper / 19,4 x 15,1 cm. / 174 ff. (f. 1, part of f. 149 and f. 150 missing) / 25-27 lines to a page / Ashkenazic cursive writing / No title.